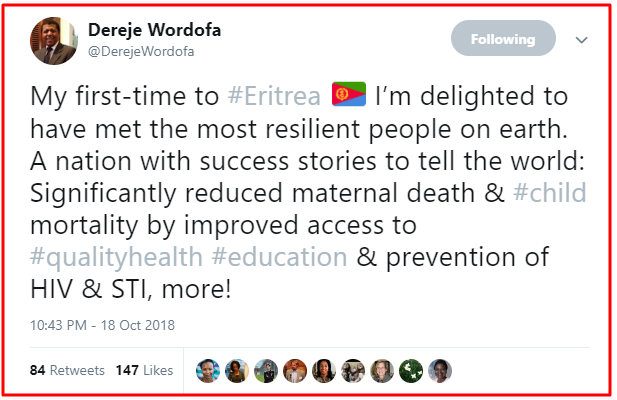 The strengthening of partnerships to sustain development gains in Eritrea was the focus of a mission led by the UN Assistant Secretary-General and Deputy Executive Director (Programme), Dereje Wordofa and sister UN agencies. 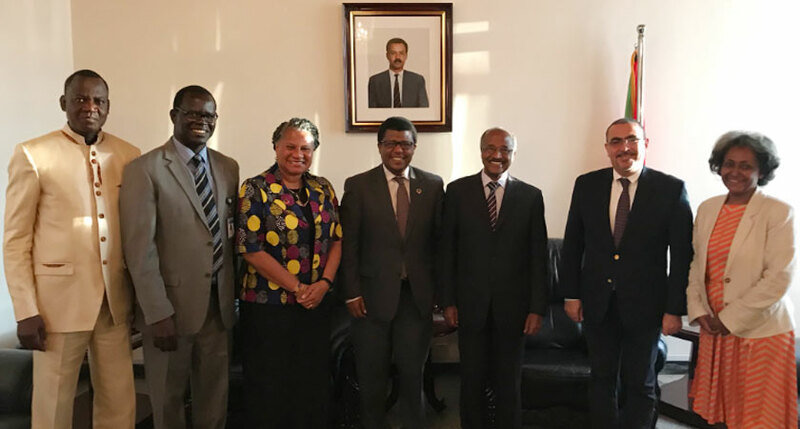 The high-level UN delegation met with senior officials of the Eritrean Government during a visit to the country on 18 and 19 October. 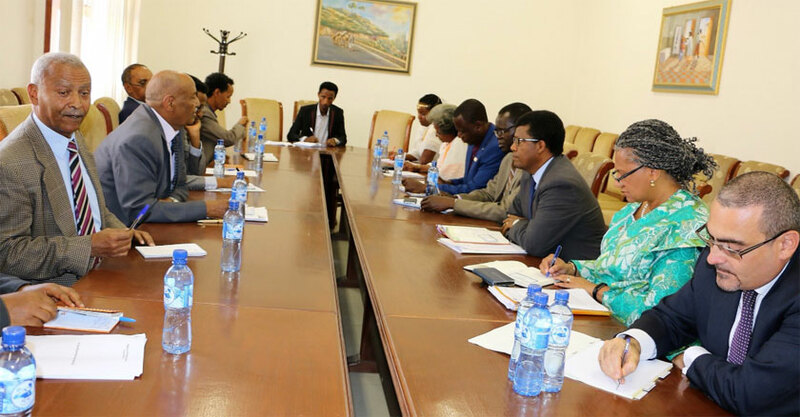 Discussions were held with the Ministers of National Development, Health, and Foreign Affairs on ways to strengthen UNFPA’s partnership with the Eritrean Government in the framework of the UN Strategic Partnership and Cooperation Framework (SPCF), and addressing bottlenecks. “We are satisfied with [Eritrea Government’s] cooperation with the UN,” said Dr. Gergish Teklemichael, the Minister of National Development. On the 15-year time frame given for attaining the targets set for the Sustainable Development Goals (SDGs), he said that his country would not have to wait long to attain these goals, provided that the much-needed support of the international community, including the UN, is boosted. Mr. Dereje said that the UN Country Team has exerted much effort in Eritrea to work coherently and that the SPCF is the single most important planning and coordination tool. He called on development partners based in Eritrea (drawn from Britain, Sweden and the European Union) to channel resources to support the development work in the country. UNFPA is to step up its support to help the country achieve its development targets, he said. Dereje Wordofa : Fruitful dialogue with HE Mr Osman Saleh. The UN Country Team in Eritrea is ready to accelerate the execution of SDG priorities in the Strategic Partnership Cooperation Framework (2017-2021) and to do more! The current peace agreement between Eritrea and Ethiopia bodes well for the two countries and the sub-region as a whole in channeling resources to development for the betterment of the lives of the people, Mr. Dereje said. The UN is committed to supporting Eritrea to sustain its impressive development gains in recent decades. 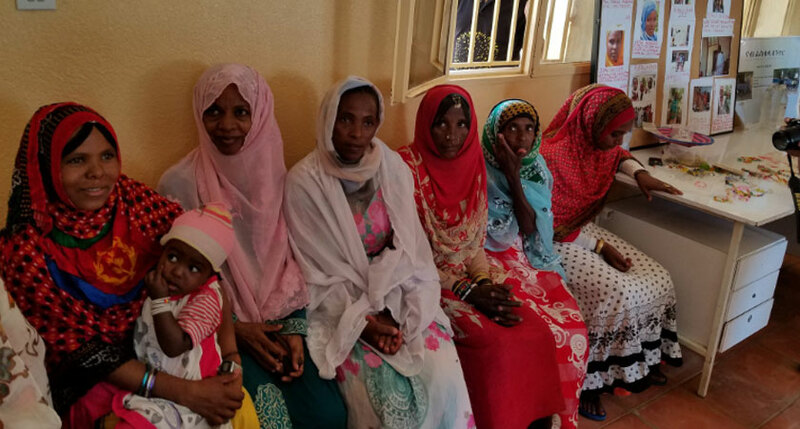 He also highlighted the critical importance of generating quality and accurate data for development planning, and stated that UNFPA is ready to support the country to undertake a Census and Demographic and Health Survey. He underscored the need for the efficient and timely use of resources tackling impediments on programme implementation, which he said is imperative to mobilize additional resources to support the country’s development efforts.